Moygashel linen back and front wrap dress. 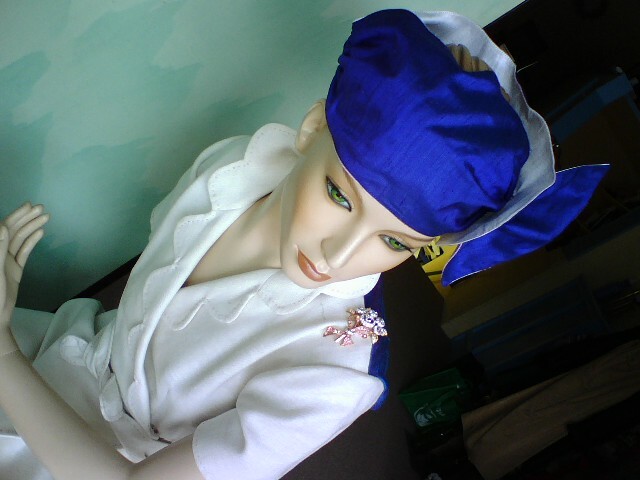 Cobalt blue scalloped silk dupionni accents. Fully lined hand detailed edges in red silk twist. Contoured belt.